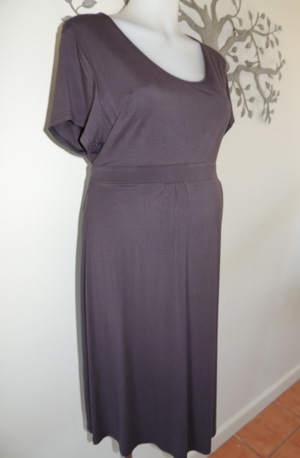 This dress is a classic style and fit, perfect to be worn during and after pregnancy. It is new with tags by Ninth Moon. 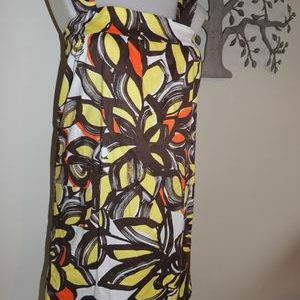 The dress has plenty of stretch in the soft fabric that contains lycra. It has a short sleeve and a band under the bustline which becomes a tie through the back. Be the first to review “NEW Charcoal Short Sleeve Maternity Dress” Click here to cancel reply.